After years of campaigning, the Thames Valley Methodist Circuit gained Fairtrade status in February 2006 — the same time as the Royal Borough of Windsor and Maidenhead became a Fairtrade Borough. The Royal Borough's Fairtrade Group has a Facebook page. Slough became a Fairtrade Town in November 2007. The Circuit fully supports Fairtrade which is about better prices, decent working conditions, local sustainability, and fair terms of trade for farmers and workers in the developing world. By requiring companies to pay sustainable prices (which must never fall lower than the market price), Fairtrade addresses the injustices of conventional trade, which traditionally discriminates against the poorest, weakest producers. It enables people in the developing world to improve their position by investing the Fairtrade premium in community projects of their choice such as health care or education and also giving them the chance to plan for a better future. 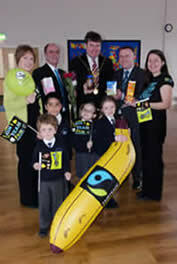 This photograph is of the Fairtrade assembly at Clewer Green First School, Windsor, with His Worship the Mayor, Counsellor Peter Lawless. 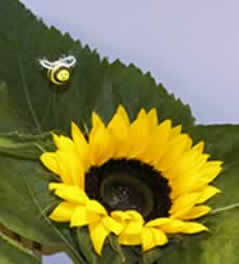 Festival of Flowers for a Fairtrade Harvest. 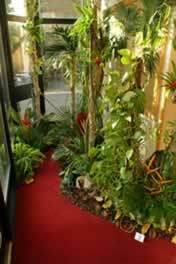 View another selection here or visit the photo gallery. With more than two billion people still trying to survive on less than $2 a day, there is still plenty to do! Within the circuit there is a small but lively steering group that would welcome any like-minded enthusiasts! created by brownies at Windsor Methodist Church. 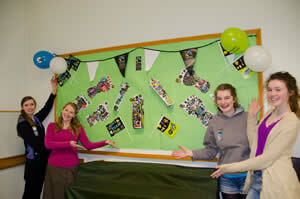 More information about Fairtrade is given on the UK Fairtrade Organisation's website.